Found existence in not being. Without being he sufficed us. This performance is a dream sequence. Actors must draw on circus elements to create a surreal physical landscape. This performance is to be done in extreme slow movements. Time is brought to a standstill through the technique of slow motion performance. This piece is a hallucination that demands deep concentration. It is a trance performance. All performers must immerse in the slow walk of Vipasana, and submit to the trance like state of motion. The Dream floats on along the site of the return of Vasco Da Gama’s ship to Lisbon. This piece is non linear – it is physical theater that requires dance and mime, slow kinetic athleticism. The final effect should be that of a Medieval Dream. 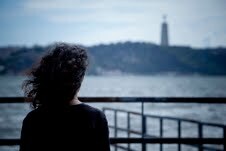 Mar Português is a feverish haunting of Vasco Da Gama’s Ghosts. 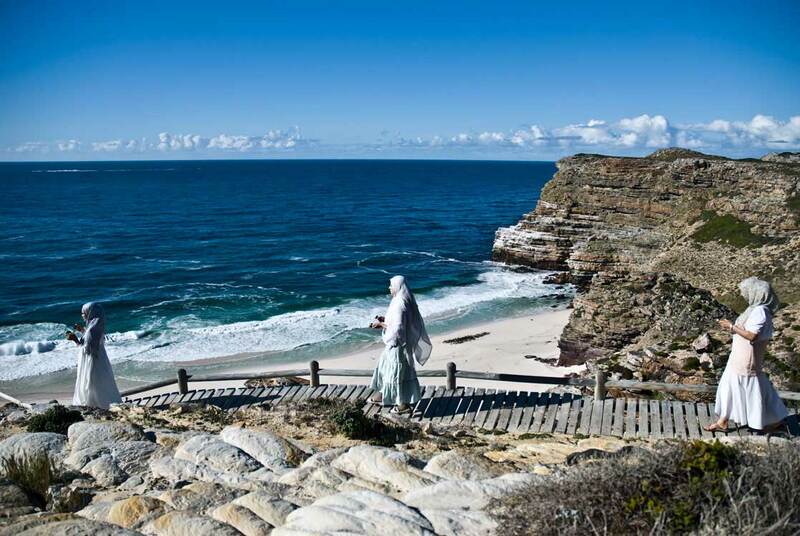 The performance is an exploration of striated time between fifteenth century maritime history and 21st century postcolonial memories. 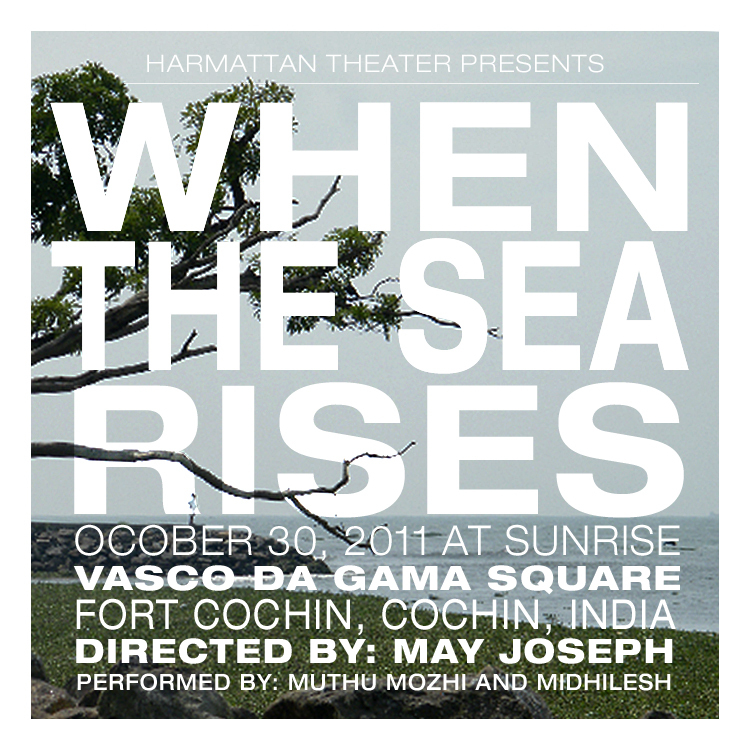 Staged as a dream sequence of Vasco Da Gama’s hallucinatory visions, as he lay dying in Cochin, India, gripped by tropical fevers – this piece is a conversation between violent colonial pasts and the translation of those encounters in the present. In a collaboration that investigates what it means to unpack this colonial maritime history, May Joseph and Sofia Varino create a visual and digital landscape in Mar Portugues, to forge a merging of postcolonial sensibilities between Lisbon, Daressalaam, and New York, where the two artists now reside. 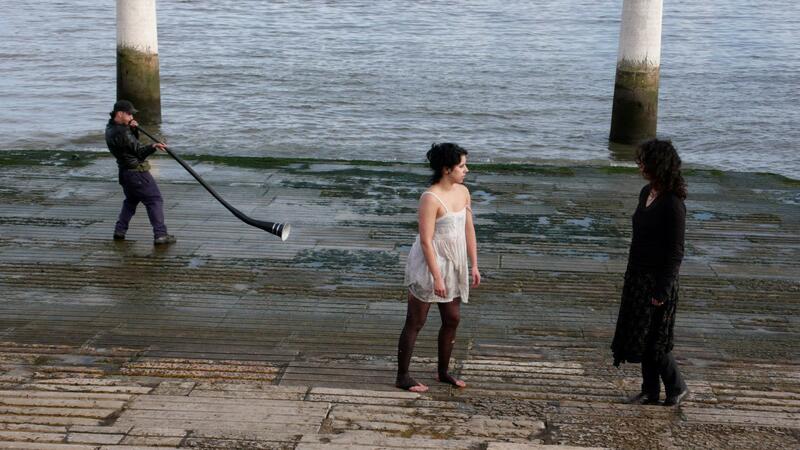 In collaboration with Câmara Lenta and dancer Diana Bastos Niepce, Harmattan Theater presents a historical haunting in real time at Cais das Colunas in Terreiro do Paço. 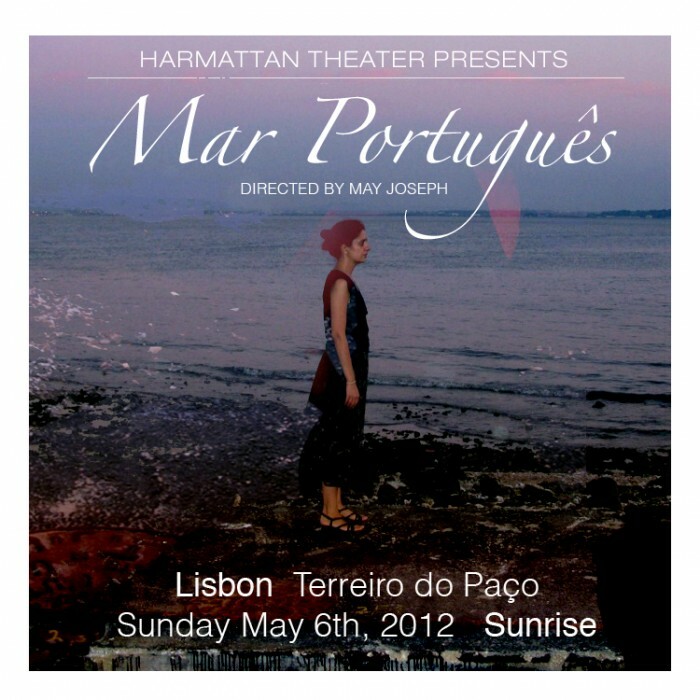 Mar Português marks a liminal transition point in Joseph’s theatrical work. It brings to the metropolitan center of Lisbon a conversation about the linking of trade routes, maritime economies and the syncretic transformation of cultures impacted by Portuguese colonial expansion. Joseph prepared the groundwork for Mar Portugues in Lisbon by creating site specific installations at sites of Portuguese arrival in Cochin, India and Cape of Good Hope, South Africa.